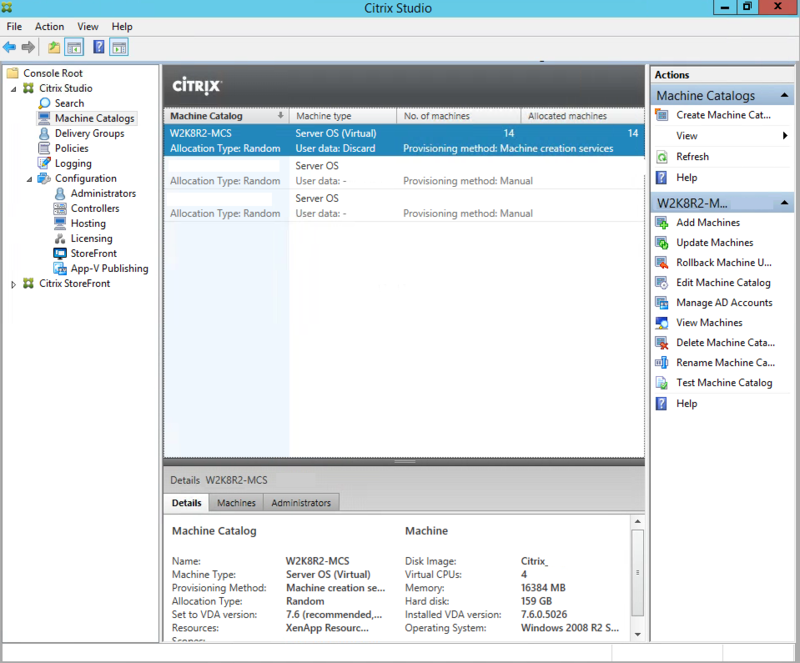 Open Citrix Studio. Click on the Machine Catalogs Node. 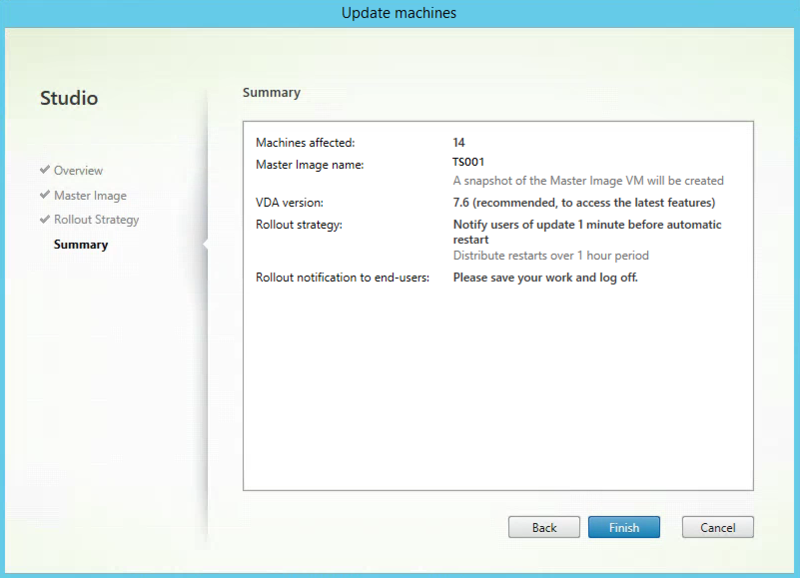 On the right side pane, click on Update Machines. 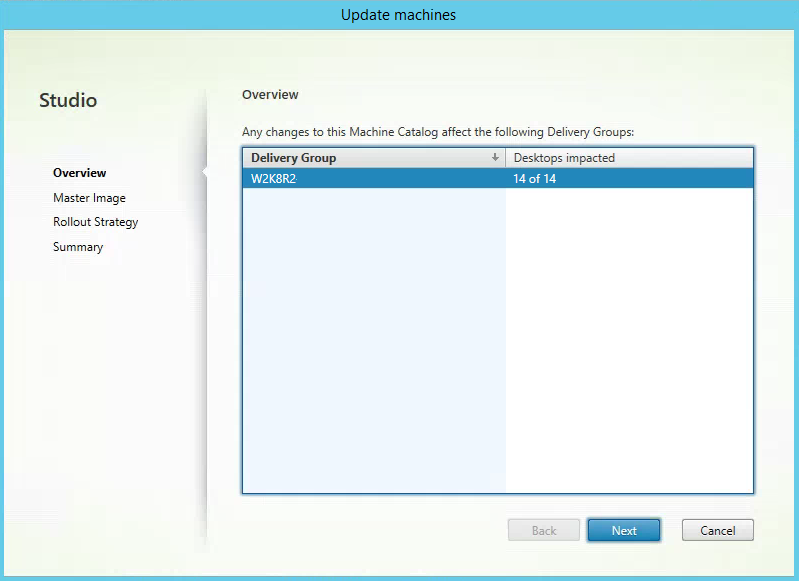 Select the Delivery Group. Click Next to continue. Choose the Master Image and click Next. 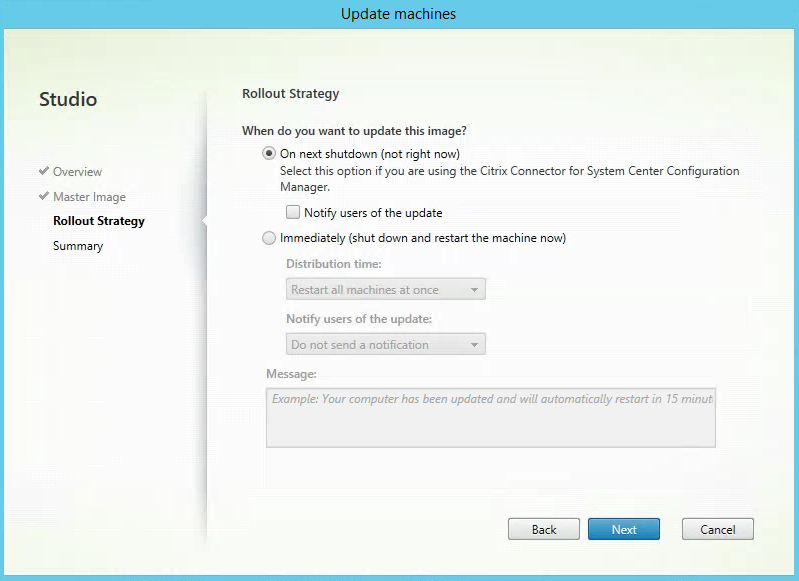 Next you will choose the type of Roll Out Strategy you want to do. 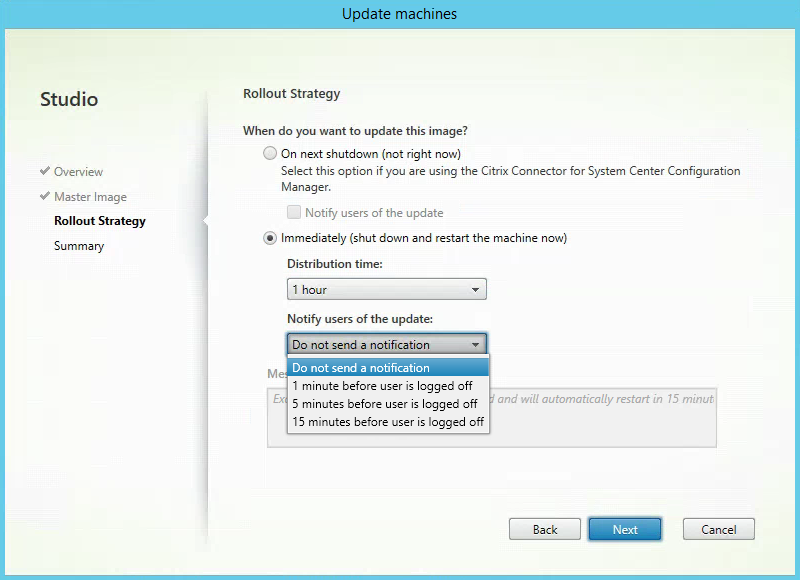 The first option is On Next Shutdown (not right now) which will allow you to manually reboot your XenApp Servers and have the updates applied. 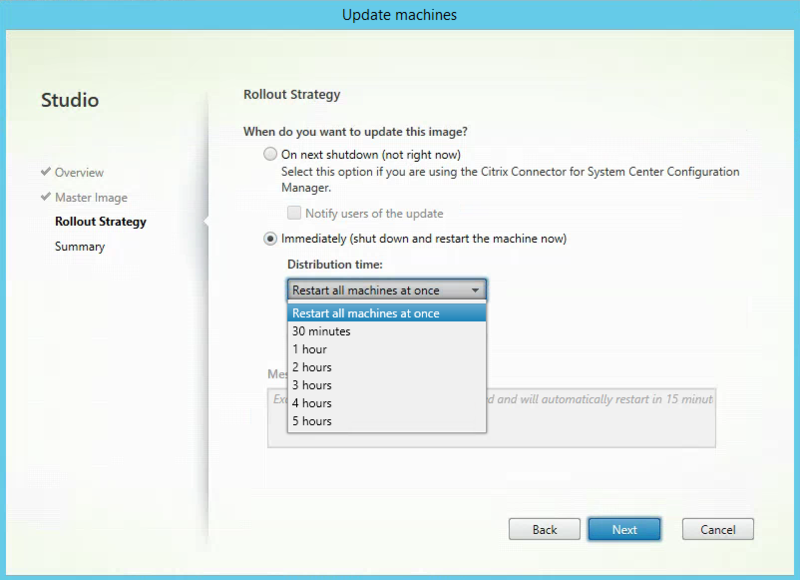 Another Roll Out Strategy Option is Immediately (Shutdown and restart the machine now). 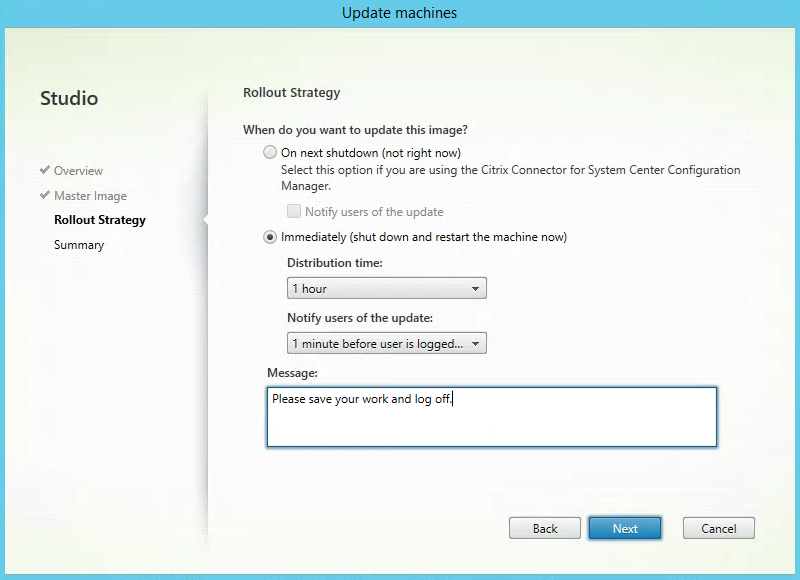 Select how to notify users of the update. Type in a message if required. Click Next to continue. 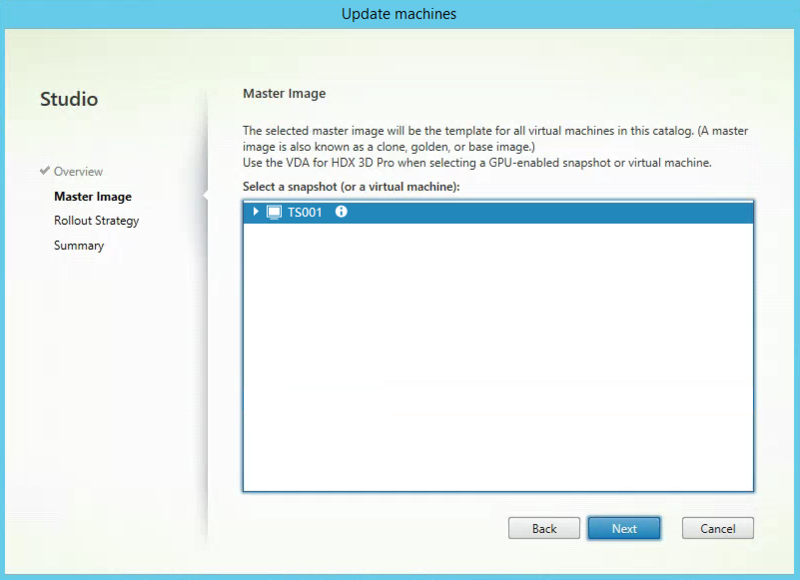 Review all the details and when you are ready to start the update process click Finish.